To create a new ASI, click + New ASI from the top right corner. Enter relevant details: Due Date, Summary (should not exceed 255 characters), Details, Spec Section, Drawing #, Page #, Details # (if applicable), upload any relevant files. Once all the information is entered, you can select Save as Draft or Create ASI options. 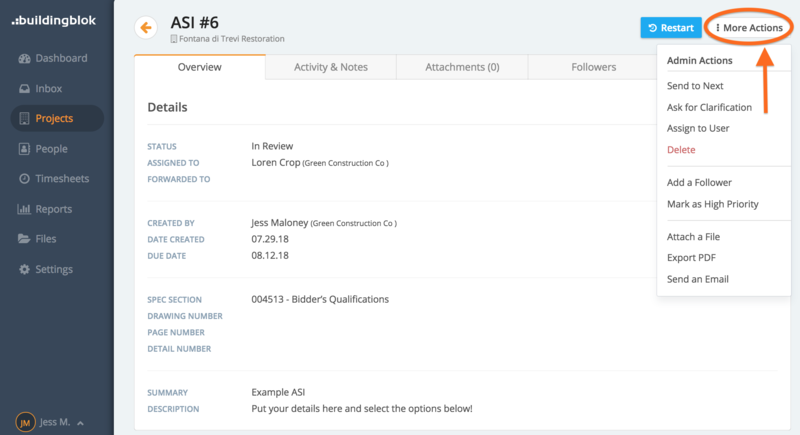 You can make changes to an existing ASI by clicking from within an ASI.